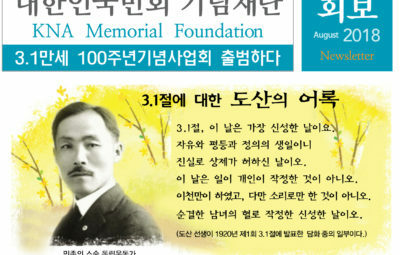 Kang, Young-dae (First Son) He had a duty as the family’s first son for Korean independence. 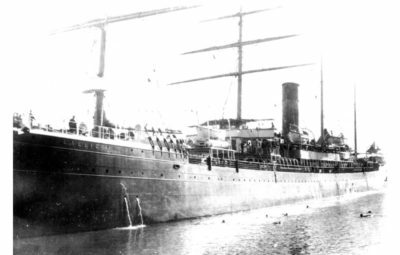 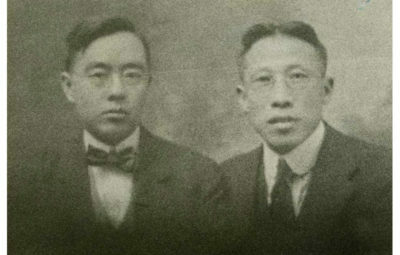 He followed his dad at the age of 21 on May 29, 1905. 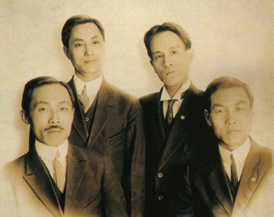 He took care of his own four younger brothers while he was actively supportive of the Korean independence movement from early on. 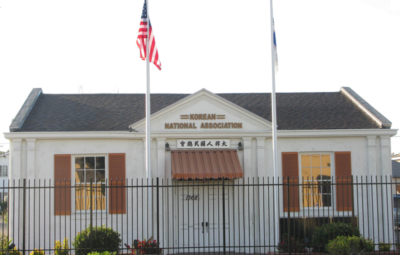 On November 30, 1908, he and his young brother Young-so were the corner stones in Hap Sung and Gong-Nip toward the birth of the Korean National Association. 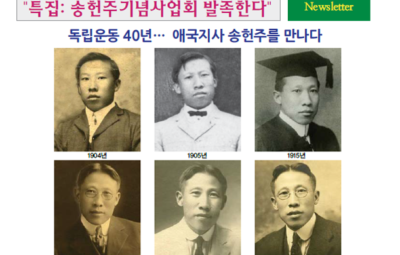 He was a promoter of the Korean National Association on February 10, 1909 while he served as an editor-in-chief of Shin Han newspaper. 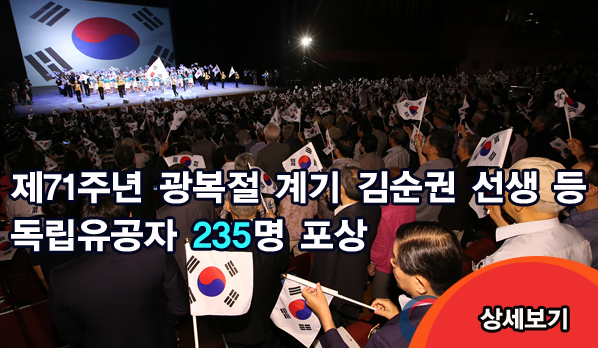 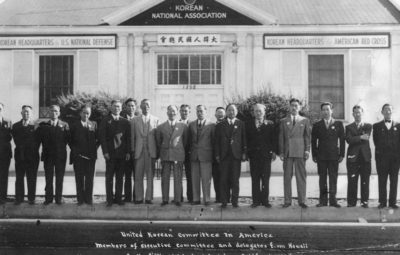 He joined Hung Sa Dahn, aka Young Korean Academy, with his membership number 22 when he sent his supporting letter to Dosan Ahn Chang Ho twice. 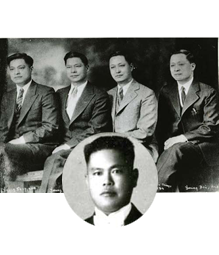 He later owned and operated a restaurant in Chicago. 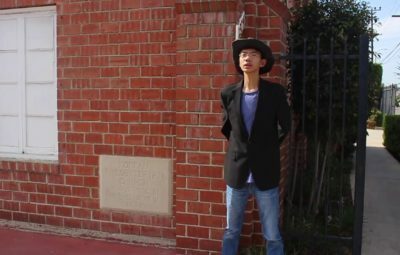 Later, he moved to Southern California where he attended both elementary and junior high schools. 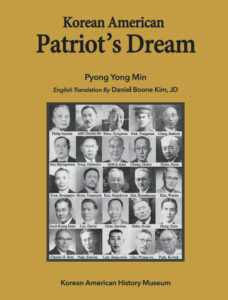 Young-dae was born on October 28, 1885 in South Pyung-An Namdo in North Korea. 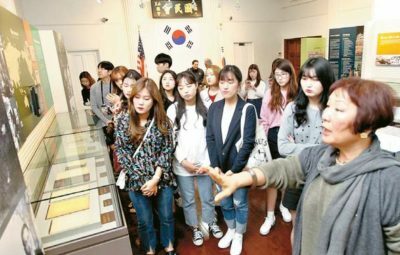 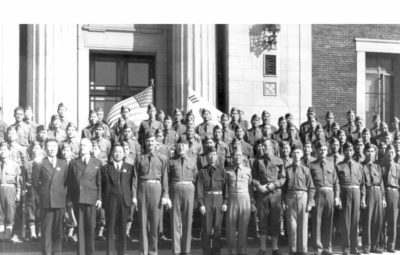 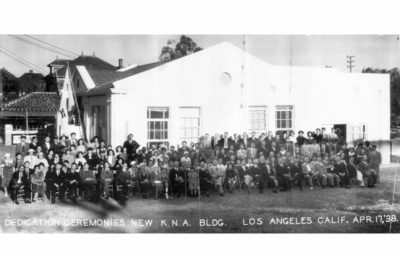 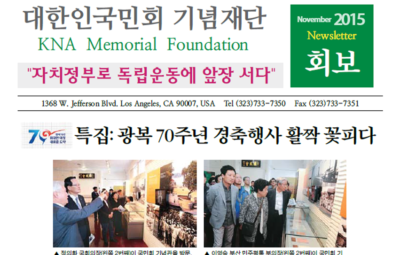 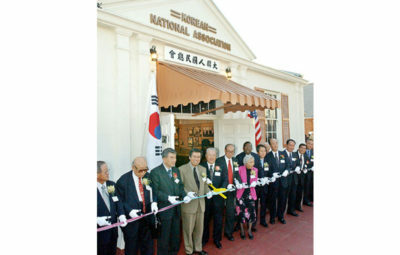 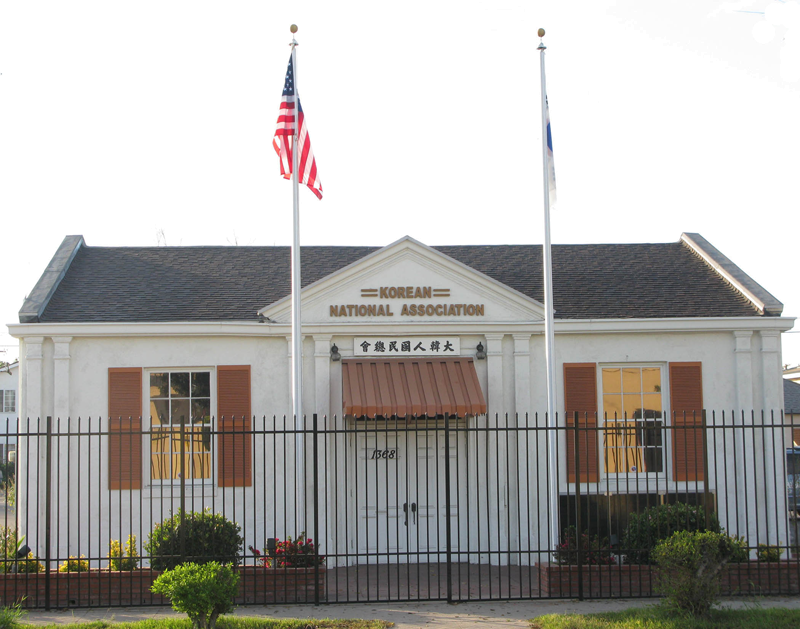 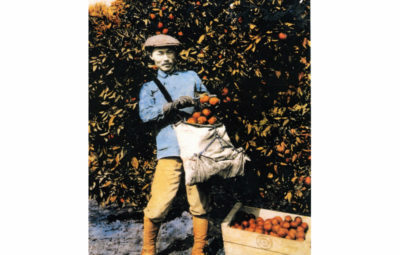 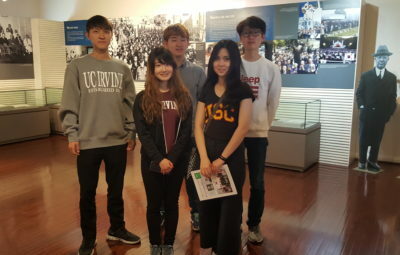 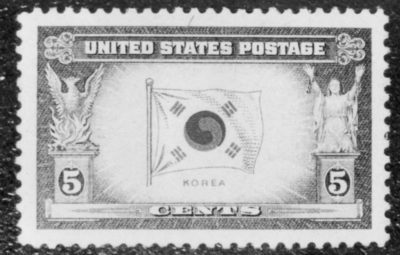 He was active and sup- portive in all activities at Korean National Association in Los Angeles after he sponsored that Association on February 1, 1909 numerous activities in the Shin Han newspaper, Claremont student center until he relocated in Chicago. 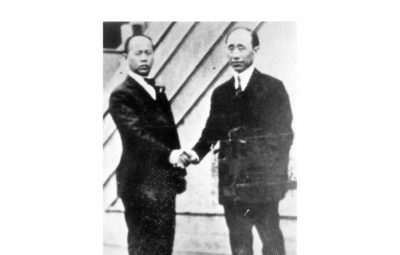 He continuously supported the independence movement efforts. 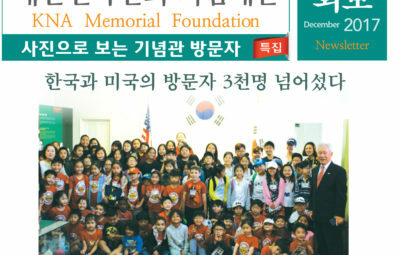 In 2013, South Korean government posthumously recognized him with an Order of Merit of National Foundation / Patriotic People Award for his unending financial efforts extending services for the Association. 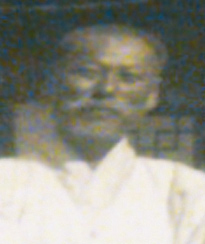 He passed away on July 20, 1948. 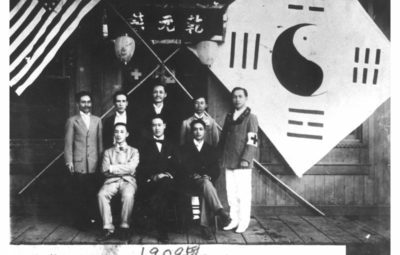 In 1916, Dr. L. George Paik, seated far right, was visiting with Dosan Ahn Chang Ho in Los Angeles. 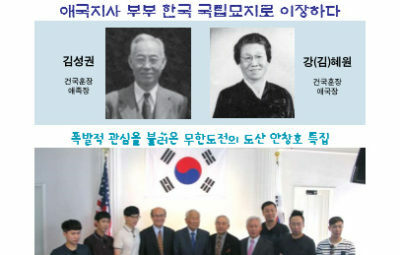 The late Dr. Paik was the former president of Yonsei University, Seoul, Korea.